A group of girls from British School Manila’s Year 5 and 6 have been taking part in an After School Activity in Bonifacio for the past 11 weeks. 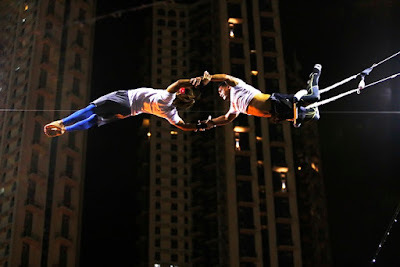 Flying Trapeze Philippines (FTP) is the first and only full-size Flying Trapeze rig in the Philippines and one of only a few in all of Asia. Located in the heart of Bonifacio Global City, Taguig, FTP is an excellent alternative form of exercise which tones your upper body and core muscles within a fun acrobatic and challenging environment. It is an intense workout for mind, body, and spirit appropriate for all ages and fitness levels. FTP has given these girls the opportunity to try out a relatively new sport activity filled with high-flying fun. Aside from being lots of fun, it is also very physically demanding. High-flying routines like these provide a full body workout. These girls learn to hook their legs over the bar, a position called the knee hang in their first lesson, which prepare them to perform a catch. 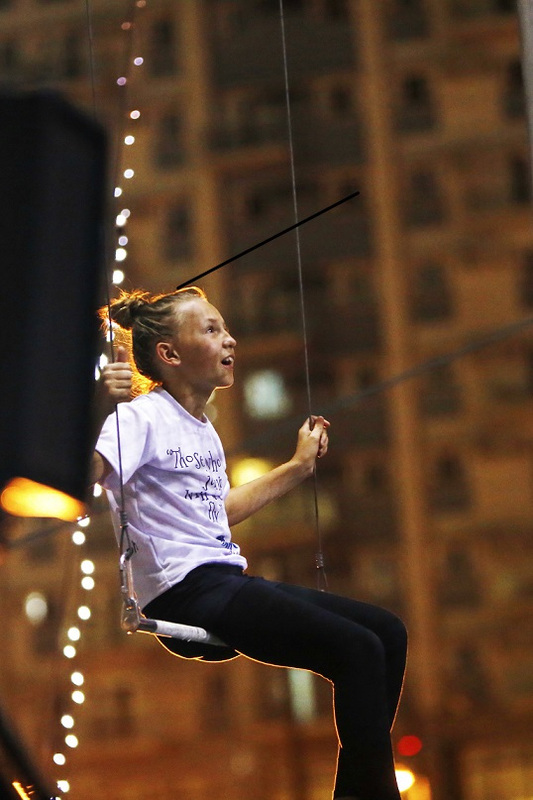 Participants swing, hang, and even attempt catches just like real acrobatic flyers. ‘With help from our fantastic local Filipino coaches, we have all been able to develop so many different skills whilst being 30 feet in the air – scary,’ said oTrapezthe performers. Trapeze relies heavily on understanding the timings of your swing so that you are able to be caught in mid-air at the right opportunity. After only a few training sessions, they were being caught by another Trapeze artist whilst flying through the air! 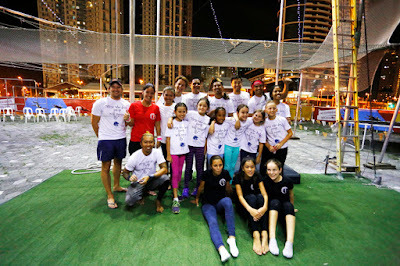 Last Friday, the BSM team got together with children from International School Manila (ISM) for the first Philippines Inter-School Trapeze Show. It was an incredible opportunity to show off all of their new skills to an audience – who of course were wowed! Although they admitted to feeling under pressure, the students were outstanding and performed with great enthusiasm. BSM children’s performance was followed by an awe-inspiring demonstration from the FTP instructors showing everybody the unbelievable skills they could develop with practice and dedication. FTP’s mantra which is used when encouraging the children at this early age, is one which truly helps to inspire: “Those who don’t jump will never fly.” Very close to one of BSM mantras, “if it doesn’t challenge you it doesn’t change you”. BSM hopes to motivate each child to aim higher and floating through the air on a flying trapeze certainly made this happen.